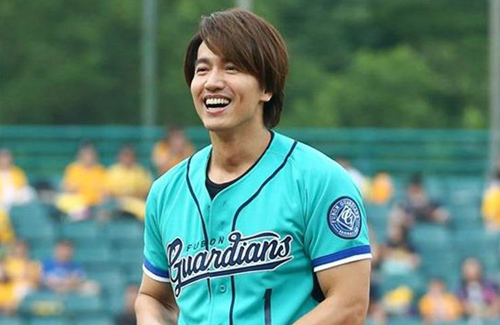 Jerry Yan (言承旭) and Chiling Lin‘s (林志玲) romantic rumors have been inseparable for many years. But earlier, Chiling shared that her current status is single while Jerry admitted that he needs to continue to learn how to love. On Mainland Chinese reality show Trump Card <王牌對王牌4>, Jerry revealed that growing up in a single-parent household had affected his ability to express his true feelings. Relationships have been difficult for him because he knows he should be happy when he sees his other half, yet he is never capable of expressing his love. Even with his own mother, he knows that he should be comforting when she was hurt, but instead he would get angry. When his ex-girlfriend asked to break up, Jerry didn’t express any signs of grief although he didn’t want to let go of the relationship. But he finally released his bottled-up emotions and cried in front of his friends. Reflecting on his past relationship, Jerry learned that in order to show his love, he must have the courage to share what he is thinking. “I want to have a passionate relationship and enjoy that great sense of joy. I’ll try harder and not give up so easily because it’s the hardest to maintain a long-term relationship,” the 42-year-old actor said. It’s really hard to develop sympathy for a guy who is in his 40s and has no idea how to display love and affection to his partner. I mean, at some point, you have to wonder if he’s not taking his relationships seriously, especially in regards to his partners who can’t wait around forever for him. @coralie Yea…what a lame pile of excuses. No ones got patience feeling sorry for a guy in his 40s who hasnt “learned” to love. Just grow up already. Who hasnt been through heartbreak before? By sounds of it he has more flings than relationships which is why he is trying to come up with excuses. @megamiaow yup. his picture of a heartbroken, insecure young man might’ve helped his image once upon a time. but if he hasn’t learned anything in four decades of living, i don’t know if he’ll ever. i see him going the way of aaron kwok – let a good one go, regret and then subsequently marry the next available girl he sees. either he really doesn’t know how to show love and care or just an excuse to stay single at least for public display. at 42, you gotta say one would know what on earth you’re doing in most cases.